Language Systems Lifestyle! 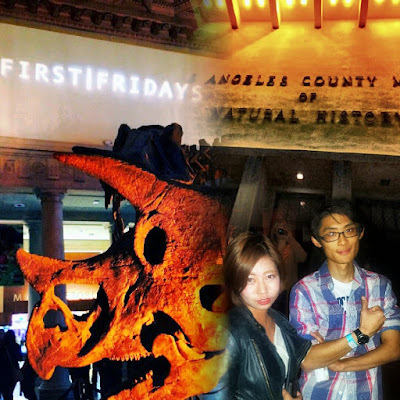 : Party Night at the Museum with DJ in the South Bay! 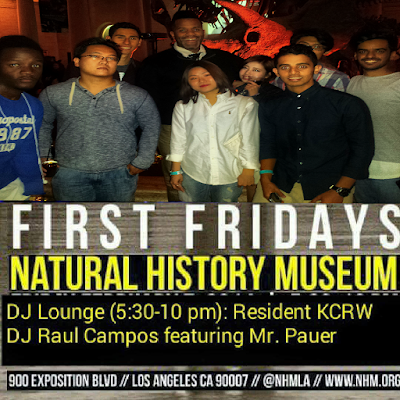 Party Night at the Museum with DJ in the South Bay! We had a little drama getting tickets for the The Natural History Museum's, season's opener, First Fridays event. Because my students didn't heed my advice to buy your tickets early! First we needed a few more drivers, which luckily we found easily. Then we quickly navigated through L.A.'s wild jungle traffic to be first in line to get the tickets that would soon be released to the non-members of the museum. Luckily we arrived with plenty of time. Actually an hour with chatting, and connecting with each other was perfect before we walked in the venue filled with DJ's and a live band. 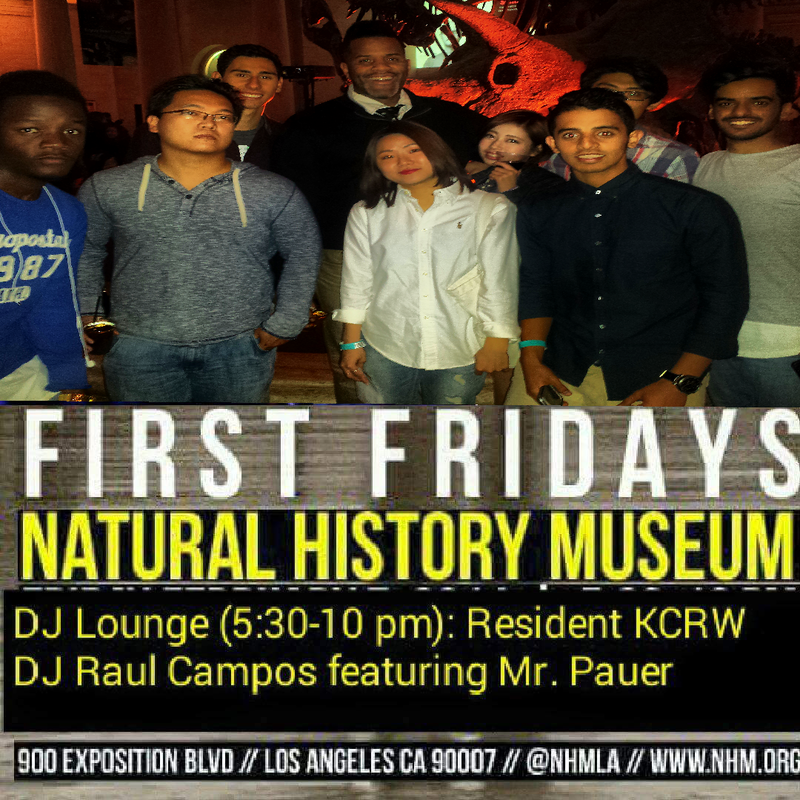 After leading an initial intro to the museum, namely the Los Angeles Begins Exhibit, I sent some of the students off to explore the history of the natural world, while others followed me to the dance floor to boogie to the always fantabulous Michael Jackson "ABC" tune!